“Your body is your subconscious mind.” – Dr. Candace Pert. Emotional memory is stored in the mind-body. It lives within every crevice of our being. MovMeant releases the mind-body of stored trauma to bring forth healing through a felt sense creative process. Not all feelings can be expressed verbally. MovMeant supplies a safe space to explore our emotional landscape by physically moving our way through the storm. The body constantly gives us subtle cues. Many of us are aware of external or verbal signs but unfortunately we quickly dismiss our powerful intuitive nature. MovMeant will guide you towards reconnecting body-mind-spirit by using various movement practices, explorative exercises, vocalization, breath and playful imagination to assist in your self-love journey towards a more peacefully connected you. Who is the MovMeant Audience? MovMeant is for everyBODY (ALL LEVELS). All our bodies are meant to move! Bodies in motion are essential for our health and spirit. It instantly improves our mood, creates healthier body image, self esteem and makes for a fun way to lower stress and anxiety. MovMEANT improves cardiovascular endurance, muscle tone, balance and coordination but most importantly it’s a creative release towards clarity and peace of mind. MovMeant is an intimate internal inquiry. Everyone can gain greater insight from this practice. It only requires an open mind and a body willing to move it’s way through emotional discharge. It is a free form physical experience helpful in gaining greater understanding of your ever-changing self through sensory and energetic systems. All classes and workshops are ALL LEVELS, ages 16 and up is recommended unless otherwise noted. How is MovMeant different from a dance class? Every movement practice will challenge the body in obvious ways. Moving your body, getting the blood flowing and sweat glowing is never a bad idea. The element that differs a dance class from a MovMeant experience is it’s therapeutic-like healing aspect which takes the practitioner to another level of self awareness and inner cleansing. MovMeant is NOT about perfecting steps or keeping up with choreography. It’s about using the physical outer experience to connect us to our inner ones. The body and mind are so interconnected that change in one directly impacts the other when approached consciously. 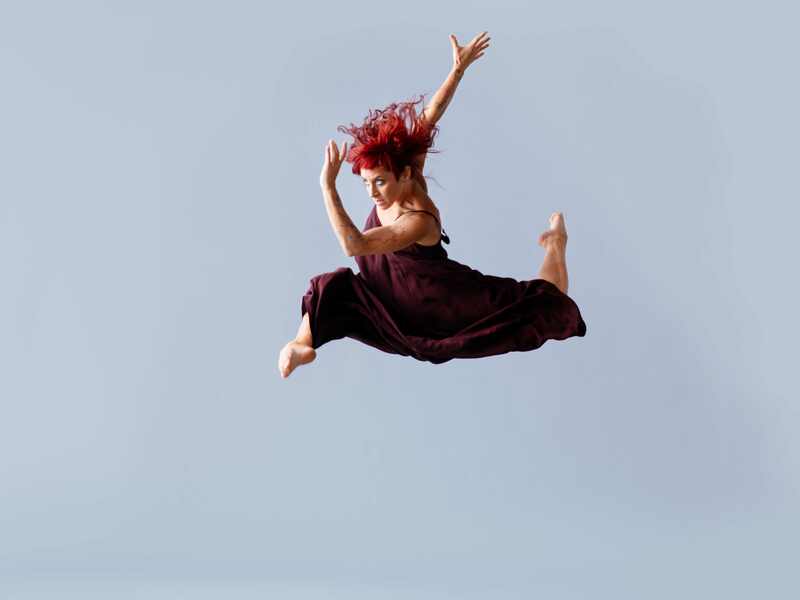 MovMEANT is explored primarily though felt sense as a tool to help guide the practitioner towards a greater understanding of self, rather than showcasing the latest choreography or keeping up with dance steps. These classes provide a safe space under qualified guidance and direction that greatly encourages self expression, individual pacing, and nurtures your BEYOUtiful YOUniqueness to shine! PHILOSOPHY OF MovMEANT: Movement is Medicine. Tamara has always used movement as a source of self care, even as a child. It’s therapeutic-like tendencies combined with a creative outlet, invite an inner cleansing like no other form of expression. Being a feisty little scorpio, movement was always available to her as “medicine”, no matter the space, money or time and she has embraced her calling to share it’s magic with the world. 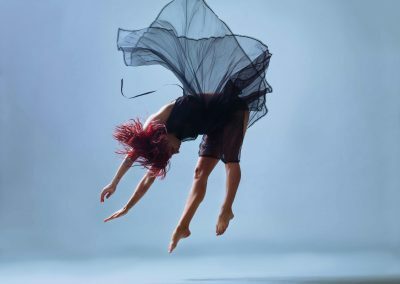 Noticing a lack of safe space to move free, Tamara decided to redirect her more technical movement based classes towards soul searching free movement. The effects of this euphoric practice are felt instantly! Students leave classes feeling refreshed, energized and inspired! No one can deny the mind blowing power of MovMEANT medicine! This practice provides a non judgment zone to be YOU, be boldly unapologetic and speak through whatever means necessary to release your inner toxins and confront your fears. Tamara has forged ahead sharing her guided free movement throughout the world and couldn’t feel more fulfilled and inspired. MovMeant is rooted in the power of breath and vocalization. Unlocking the throat chakra is at the core of this empowering practice. Tamara guides her students through breath-to-movement creative explorative exercises and lightly choreographed movement sequences to assist in activating your felt sense. This is done without labels, rules, or expectations, within a non judgement zone inviting YOU to be unapologetically YOU. Tamara guides, but you decide! Classes and workshops are ALL LEVELS unless otherwise noted. MovMeant is YOUR practice first and foremost. YOU choose how far you want to dig in. Students are always encouraged to take it at their own pace and comfort level. Your breath is your internal music setting the pace for your practice as the movement allows your spirit to run wild. This invigorating combo of breath to movement within an openly structured class provides a space for the spirit to dance and the rest is your primitive organism performing natures magic! Tamara’s guided classes and workshops are one of a kind. She guides her classes/ workshops/ intensives through intuitive teaching. By observing her students closely and providing a safe environment to play, an honest conversation unfolds. Tamara has been teaching all styles of movement for over 20 years and has been a professional and world class athlete/ dancer/ contortionist/ gymnast/ rhythmic gymnast/ aerialist/ artist/ choreographer/ yoga practitioner for well over 35 years (refer to bio). All she shares comes from her personal experiences, her daily practice and life lessons. As she evolves, so do her teachings, so prepare to always be surprised and challenged to explore deeper. Open minds and open hearts are strongly encouraged. The more vulnerable the approach, the more discovery unfolds. Tamara Levinson was born in Buenos Aires, Argentina. At the age of fifteen she represented the USA Rhythmic Gymnastics team at the 1992 Olympic Games. 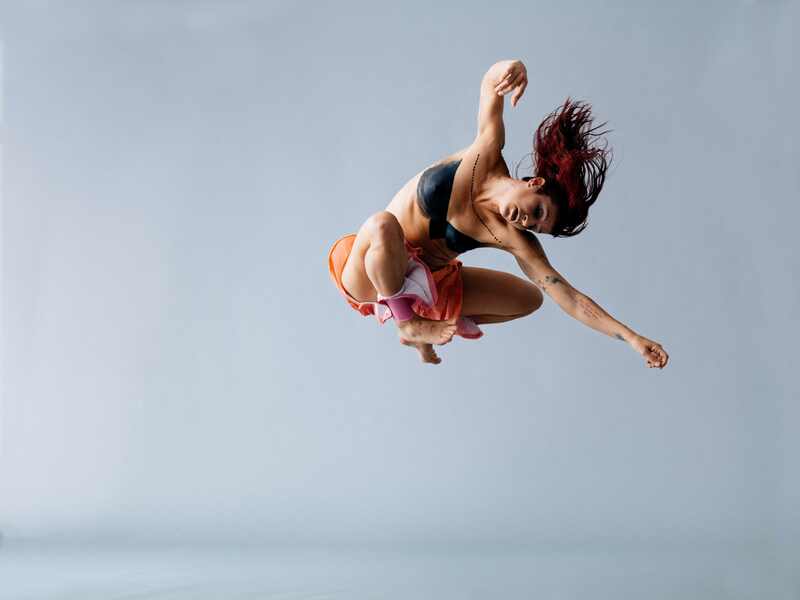 Her love for movement led her into a successful (and ongoing) over 20 year dance aerial arts & choreography career. She performed along side Madonna on three world tours as well as other well known artists such as Gwen Stefani, Avril Lavigne, Ricky Martin, Rihanna, Katy Perry, and more. Tamara took her talents to New York City, On and Off Broadway performing innovative underground theatre with the Argentine troupe De La Guarda in shows “Villa Villa” and “Fuerzabruta”, of which she also was a part of the original creative company. She worked in Hollywood, California extensively choreographing music videos, commercials and most recently the film “The Greatest Showman” starring Hugh Jackman. After all her success in the movement world her greatest accomplishment is her personal and occupational life’s works manifested into what is known as MovMEANT : a therapeutic movement medicine technique that heals eMOTIONal blockages through the Art of movement and free expression. She guides beyoutiful warriors all over the world to live in the true essence of their BEing by reminding them to listen and trust their intuitive body talk and felt sense. MovMEANT medicine cleanses past traumatic body memory transforming trauma into liberation! MovMEANT is especially beneficial for truth seekers and creative explorers. The quest of self is an infinitely beyoutiful journey. Come play with me!